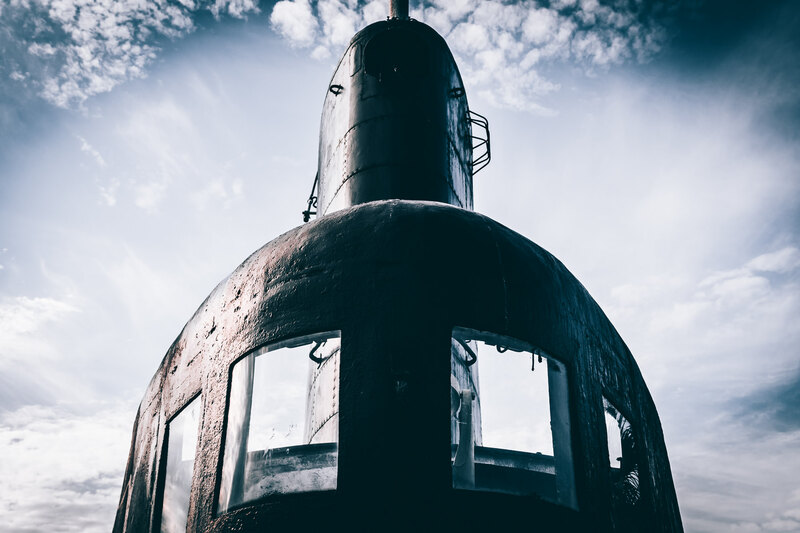 The sail (or conning tower) of the Gato-class submarine USS Cavalla rises into the late afternoon sky over Galveston, Texas’ Seawolf Park. 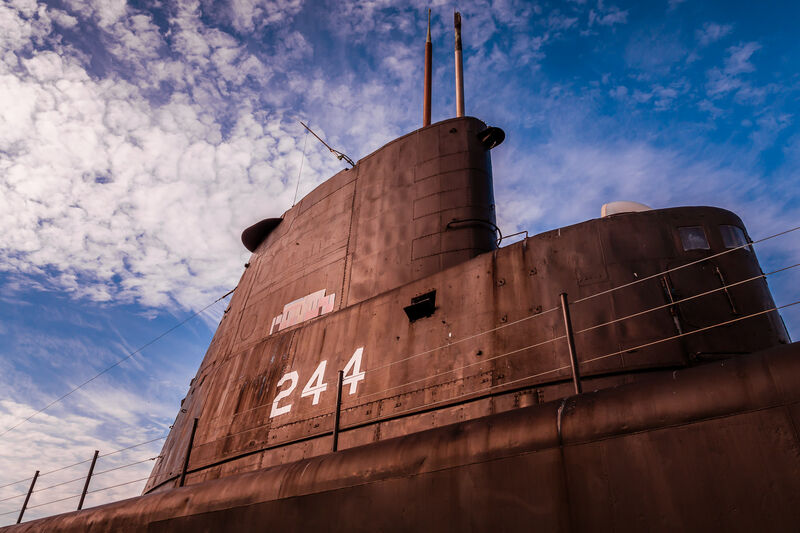 The bow of the World War II-era Balao-class submarine USS Pampanito, now a museum ship at San Francisco’s Fisherman’s Wharf. 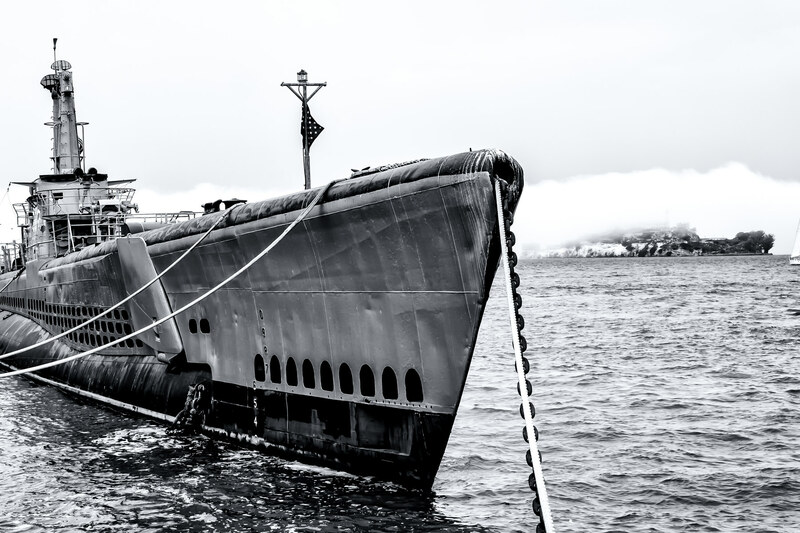 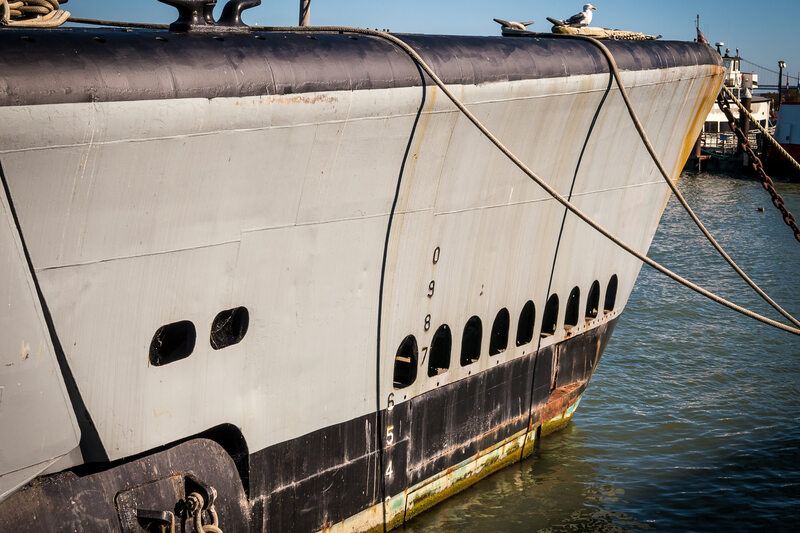 Detail of the bow of the World War II-era submarine USS Pampanito, now on display at San Francisco’s Fisherman’s Wharf.